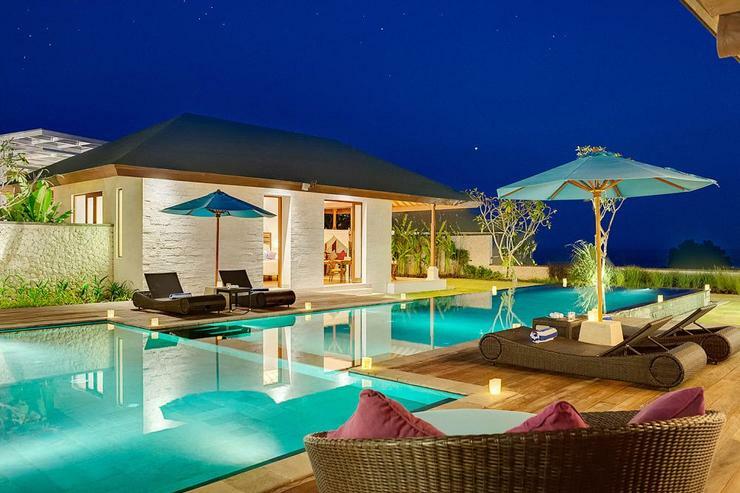 Villa Marie is one of the three Pandawa Cliff Estate villas, the other two being Villa Rose and The Pala. 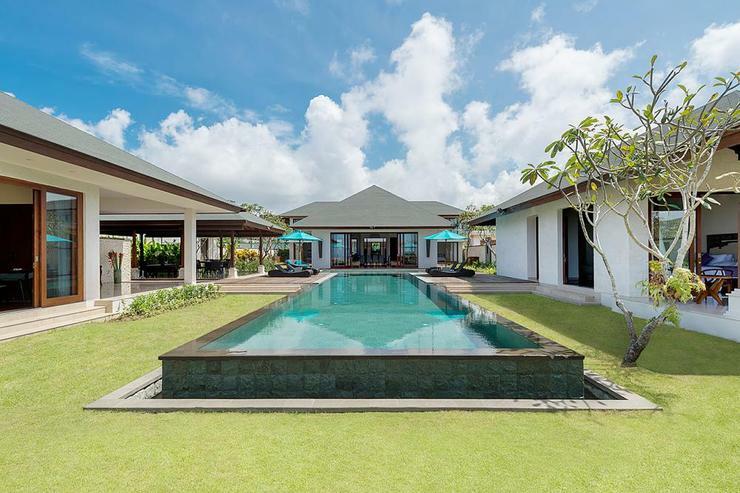 These estate villas are set in the immediate vicinity of the crystal clear, reef-protected waters and white sands of Pandawa Beach and enjoy a secluded, tranquil, tropical setting. The beach can be reached via the road cutting its way through the cliff. 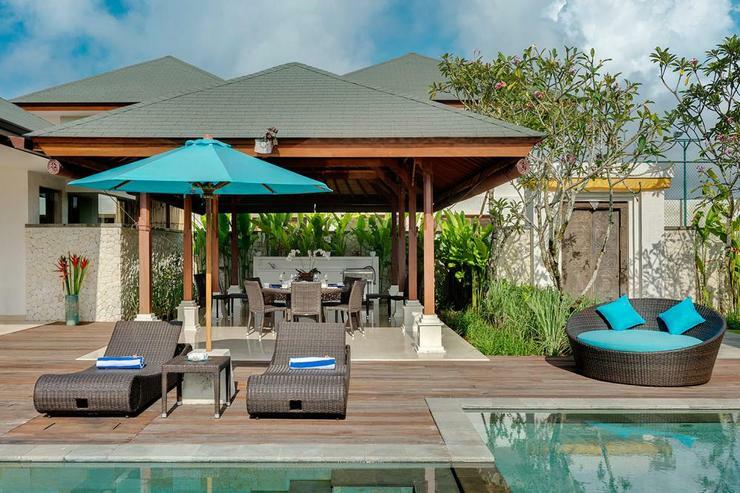 The villa also enjoys close proximity to some of Bali’s best surf beaches. 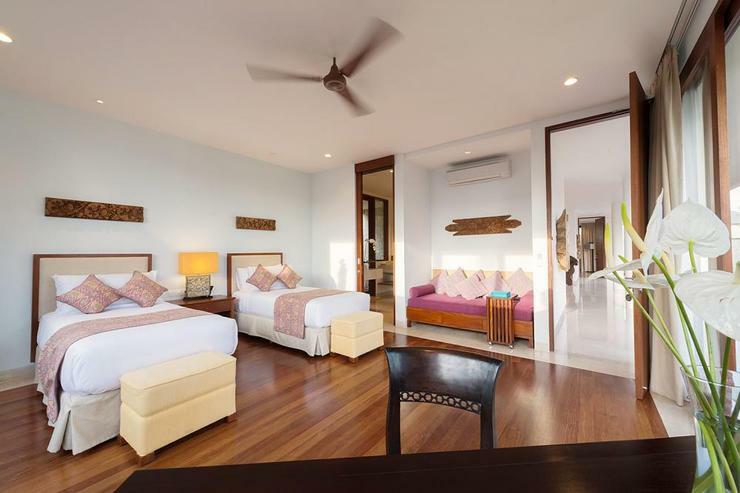 It is also conveniently located from attractions such as the sacred sea temple of Uluwatu, the New Kuta Golf Club, some cool beach bars and the many fine-dining and seafood restaurants of Jimbaran and Nusa Dua. 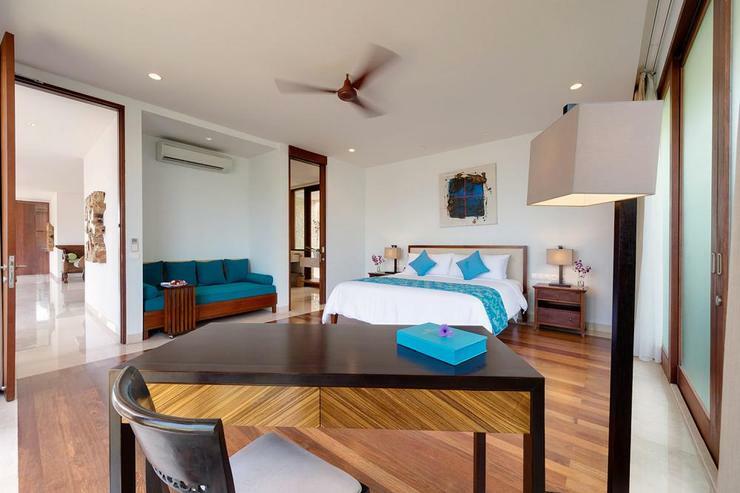 * No other clients or groups will be booked at Villa Marie during a last minute booking, meaning that each booking is guaranteed exclusive occupancy of the villa. 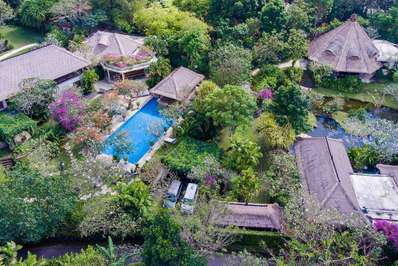 Reflecting the traditional compound design of many Bali homes, villa Marie is the most Balinese of the three Pandawa Cliff Estate villas in terms of style and layout. 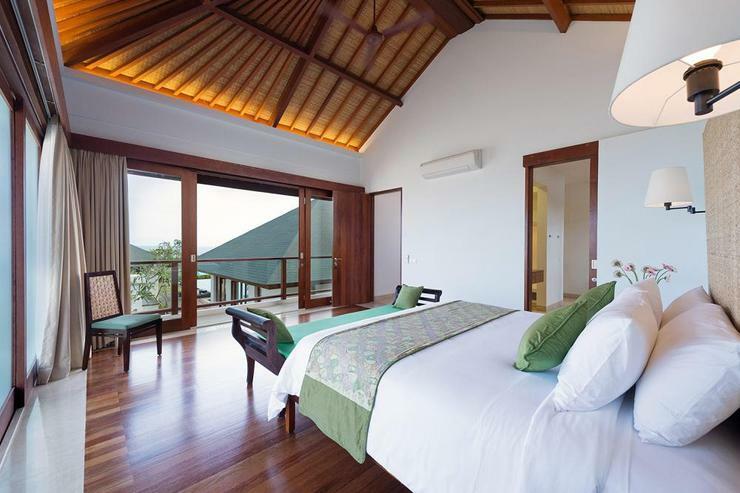 Set at a slight distance from the cliff top, the villa offers tantalizing views of the garden, pool and ocean from most of its rooms. 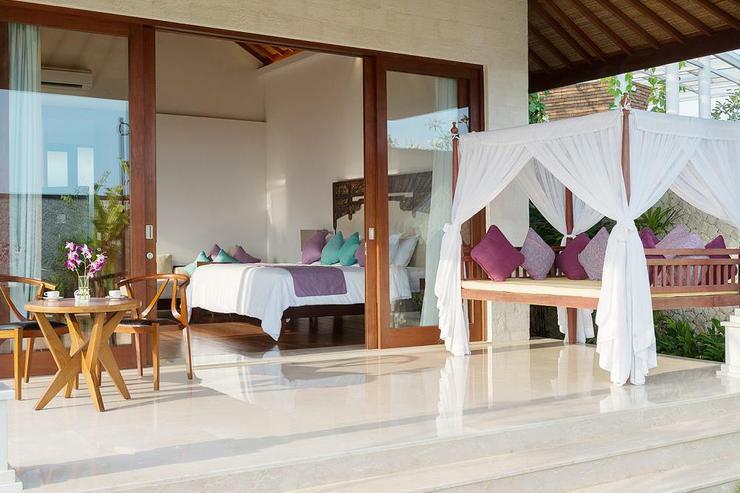 It is serviced by friendly yet discreet team of butlers, housekeepers, gardeners, security and kitchen staff who provide immaculate services under the guidance of the villa manager. 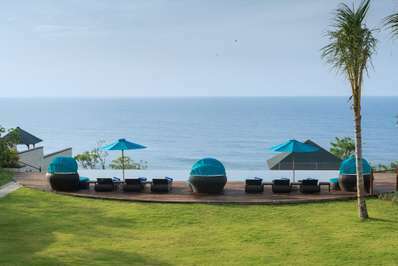 Two cars with drivers are on hand for those who wish to explore beyond the villa. 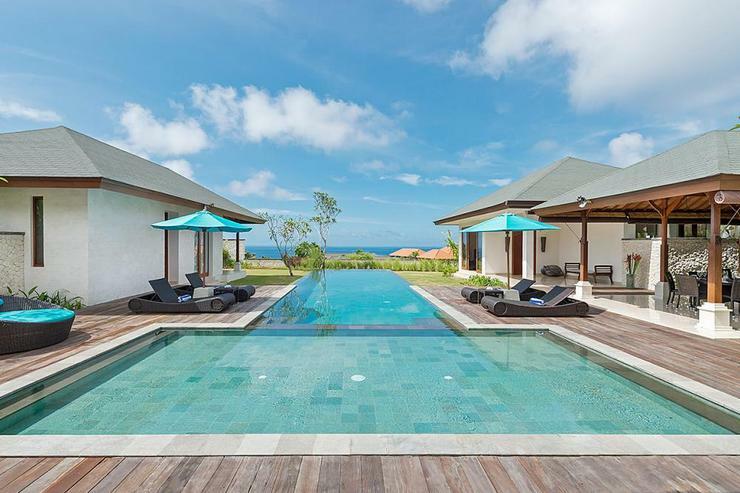 Two master bedroom pavilions of villa Marie lie opposite each other across the T-shaped 17-metre swimming pool, which also has a shallow area for kids. 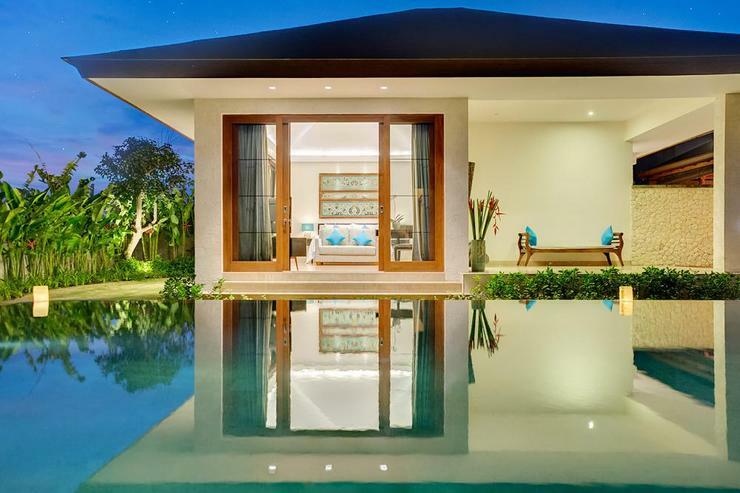 At the heart of the villa lies the living pavilion. 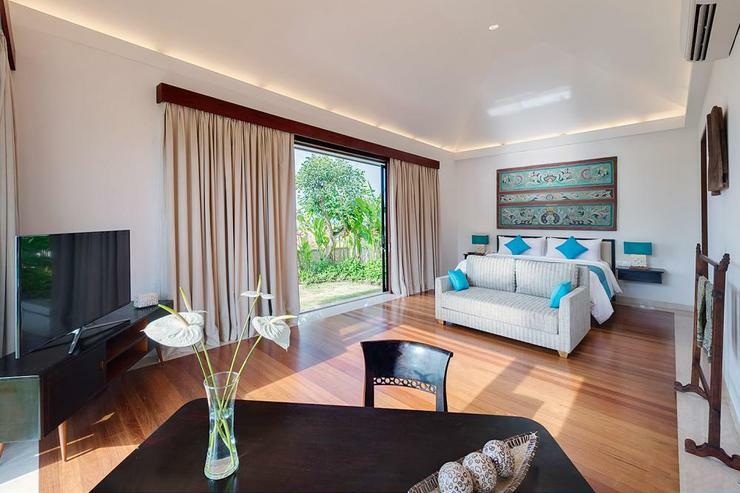 Behind the living pavilion is the two-storey guest bedroom building with its four spacious rooms, two on the ground floor and two upstairs. 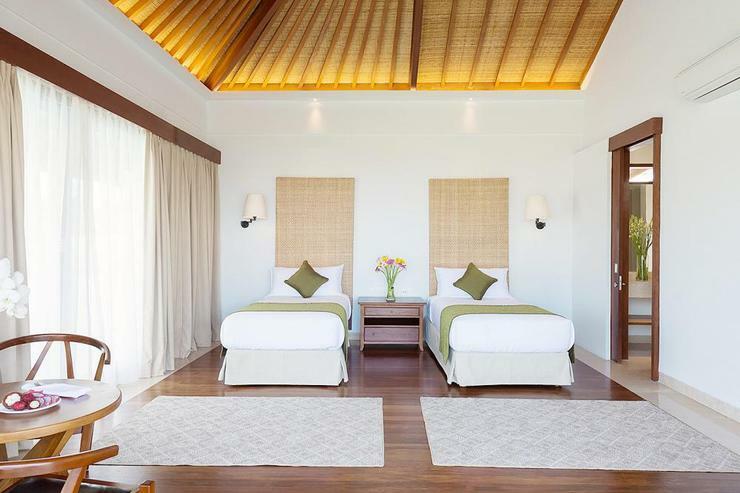 The bedrooms are fitted with king sized beds and twin beds. 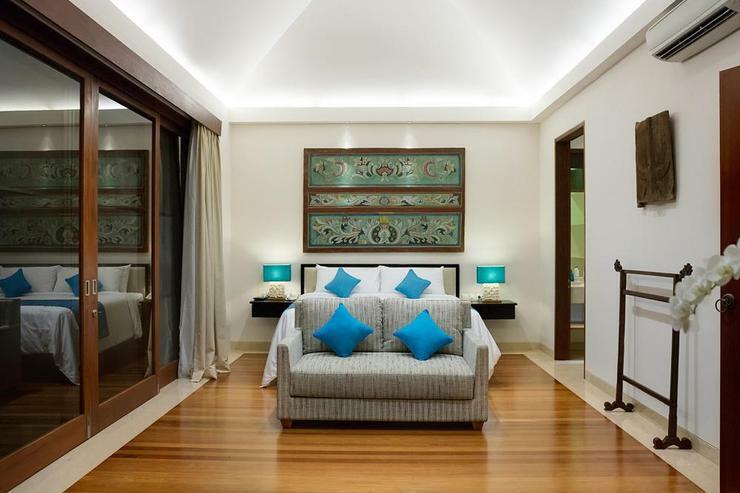 The master suite, located by the side of the pool is equipped with a large flat-screen TV with satellite channels and Blu-ray/DVD player. 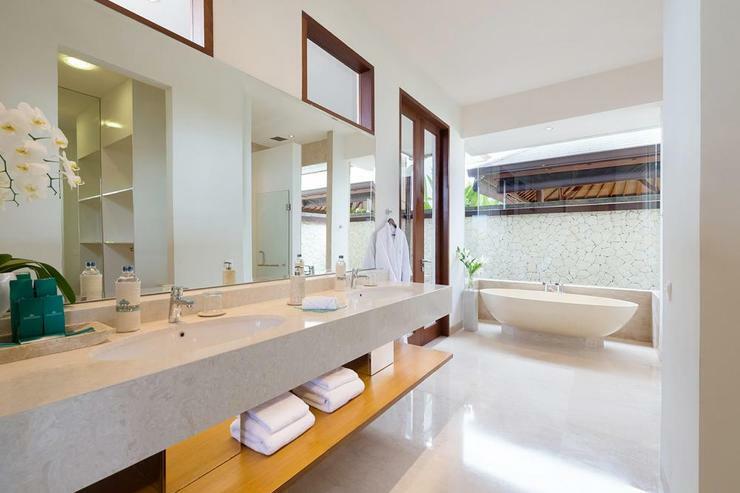 The spacious ensuite bathroom has a dressing area and boasts an oval terrazzo bathtub and an outdoor rain shower. 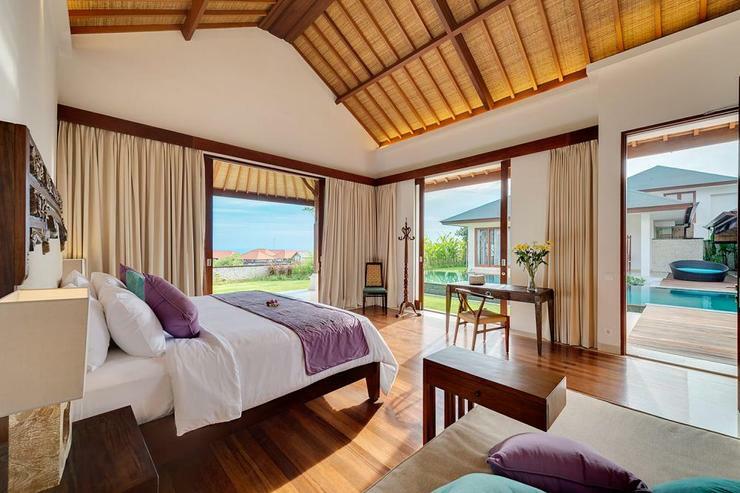 The second master suite, below a high wood-and-rattan ceiling, has an ocean-view terrace with a large daybed. 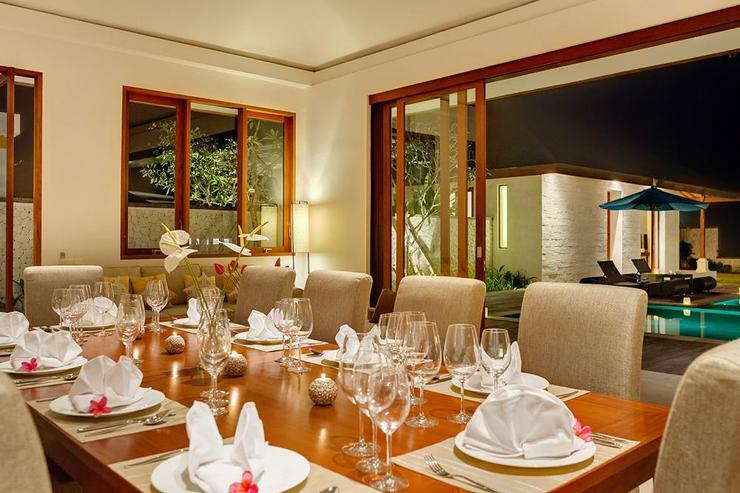 The central living pavilion of villa Marie houses the indoor living space in one big, convivial area. 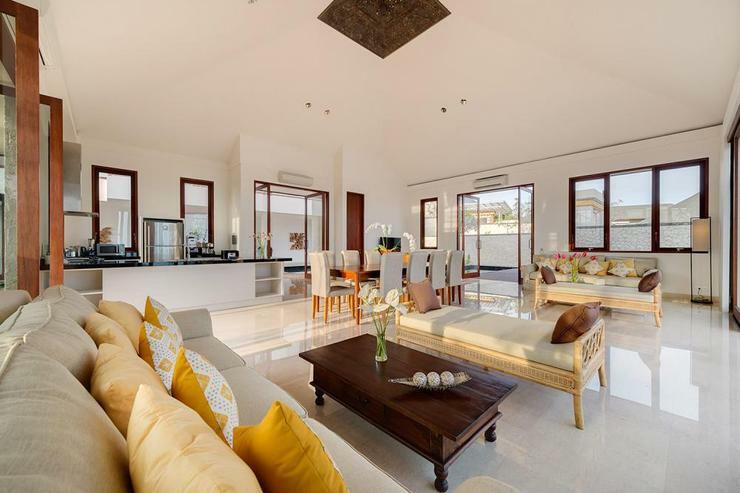 It is fitted with television, dining table that can seat ten and the well-equipped open-plan kitchen. 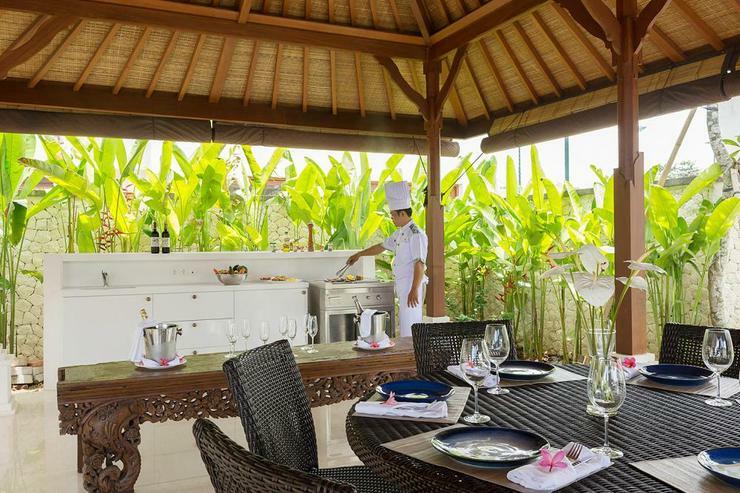 Next to the living pavilion and right beside the 17-metre T-shaped pool is a spacious outdoor dining balé fitted with a built-in barbecue, wet kitchen area and a circular, all-weather-rattan table for eight. 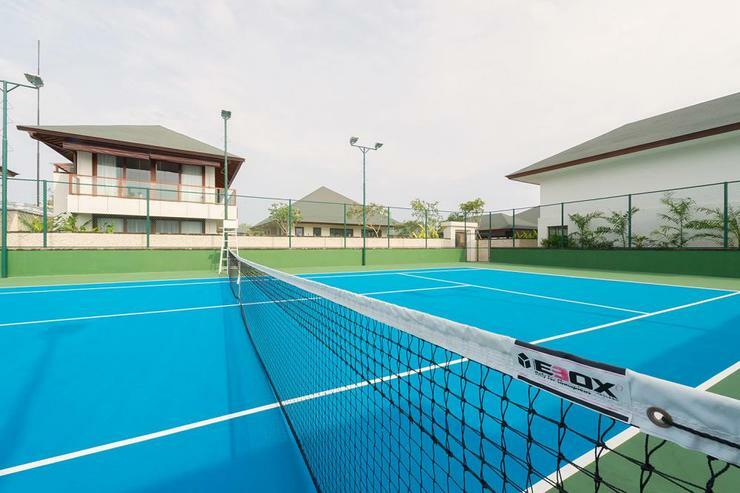 The guests can also take advantage of a sports centre (with squash and tennis courts), spa and gym – the shared facilities of the villa complex. 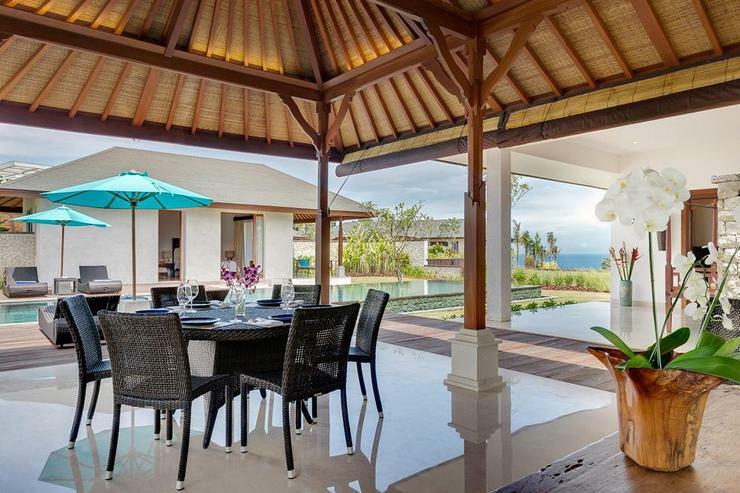 The villa can be booked separately for a family holiday or with the other two villas for events and large gatherings. 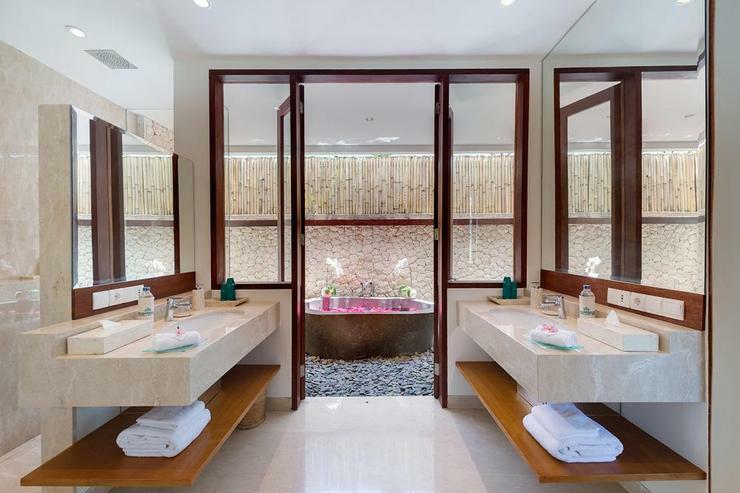 Located in Nusa Dua, Bali. The Pala is a in Indonesia.